O Canada, the glorious land of maple syrup, epic vast spaces and jaw-dropping moments that will rock your world! 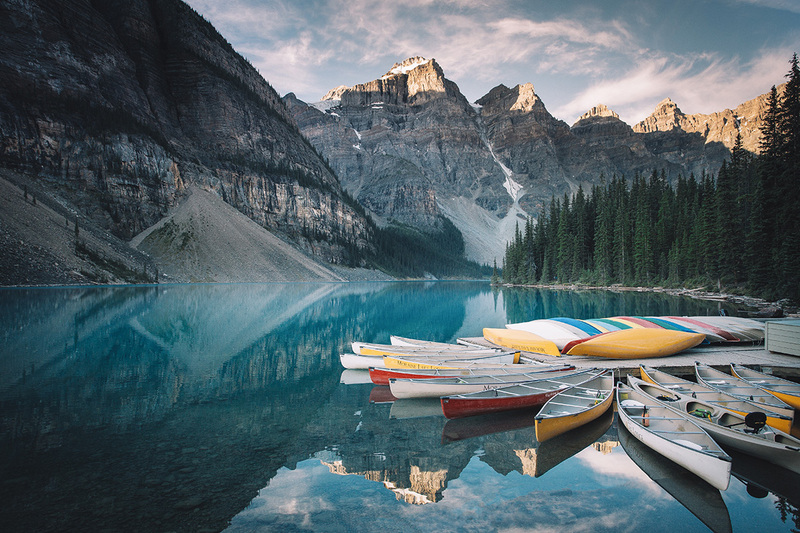 Home to five national parks and cute alpine towns, Canadian Rockies are just overflowing with dramatic mountain peaks, hanging glaciers, ethereally turquoise lakes, towering waterfalls, deep canyons, lush forests and wildlife. 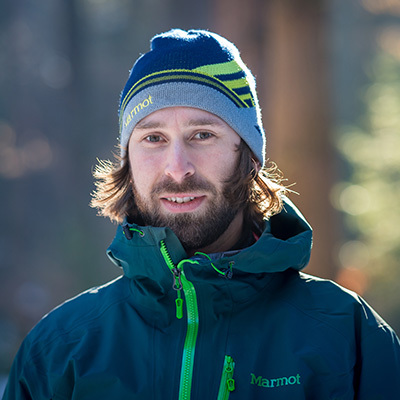 So round up your gear and get ready to have your socks knocked off from all the spine-tingling beauty nature has in store for you. Simply put, great shots guaranteed. Calgary meet. Pickup at the airport and arrival at the hotel. Once properly rested, we’ll go over the travel plans for the upcoming week and get to know each other a little bit. Setting off early in the morning, we’ll drive to Canmore to shoot some stunning views of the sunrise over the trio of peaks above the Bow River called Three Sisters. Following the early morning shoot, our journey will take us to Banff where we’ll check in at our hotel and drop our gear off. 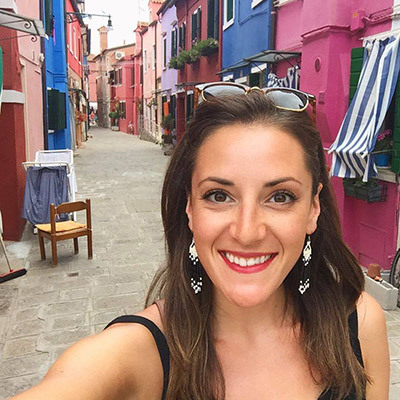 A charming little town surrounded by spectacular mountain ranges - from here we’ll be setting out to Banff National Park, Yoho National Park, the Kootenays and also the less touristy Kananaskis Country. Each morning we’ll rise early to catch the first rays touching the peaks of the mountains and the peaceful azure lakes. 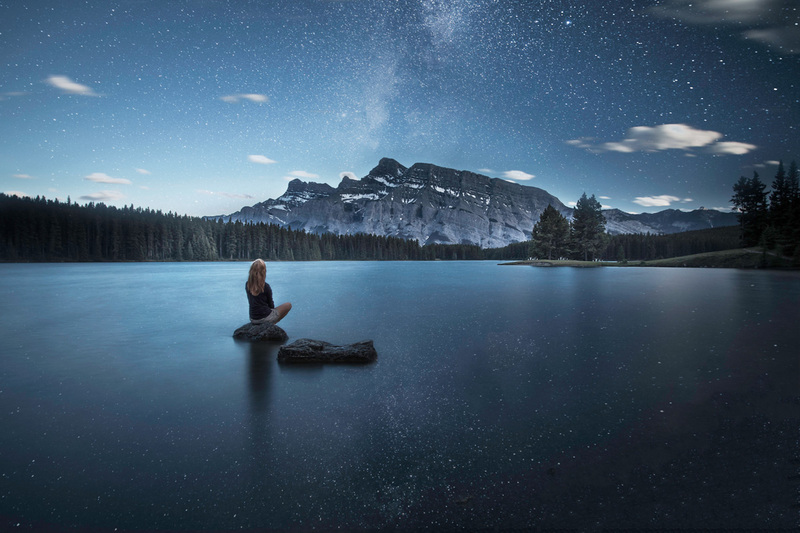 The sunset photo shoot on this day will be all about Two Jack Lake in the Banff National Park. Always worth a stop, this place is nothing short of amazing views and a lot of great shots to be taken here. 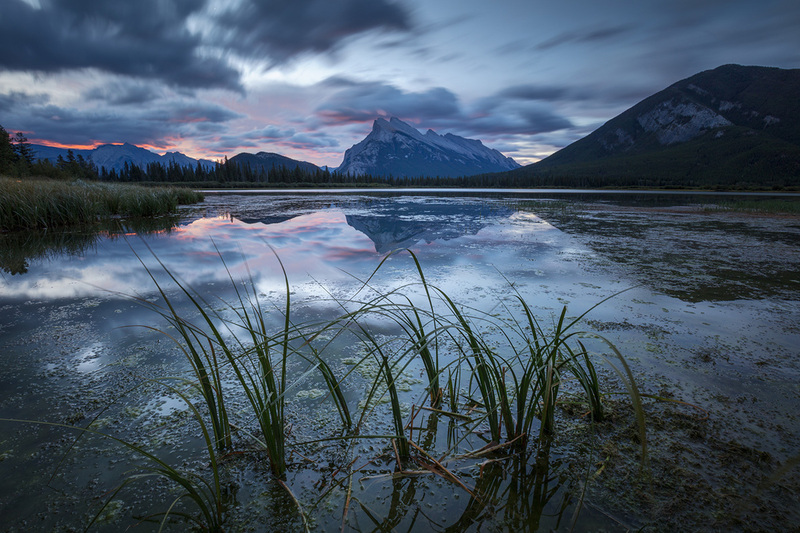 This time, our sunrise location will take us to Vermilion Lakes on the outskirts of Banff, offering the famous view of Mt. Rundle in the back. Reflecting in the lakes, the mountain range is a great reward for all early risers. If lucky, we might be in for some alpenglow that turns the landscape into even more amazing colors. 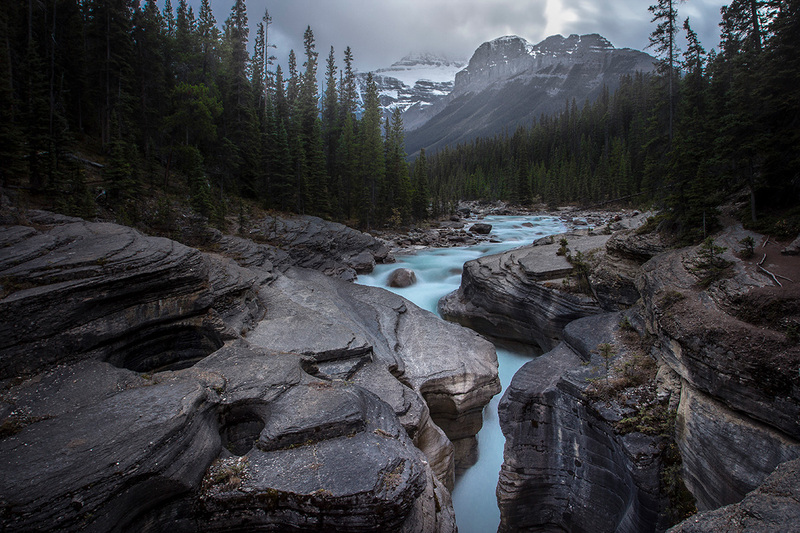 Later that day, we will fill up on the beauty of the mysterious Johnston Canyon. Carved by the cold waters of Bow River, the steep walls of the canyon jutting high above are just something to watch and photograph. Just like the deep blue pools of the creek, waterfalls and river bends that we will be shooting as well. 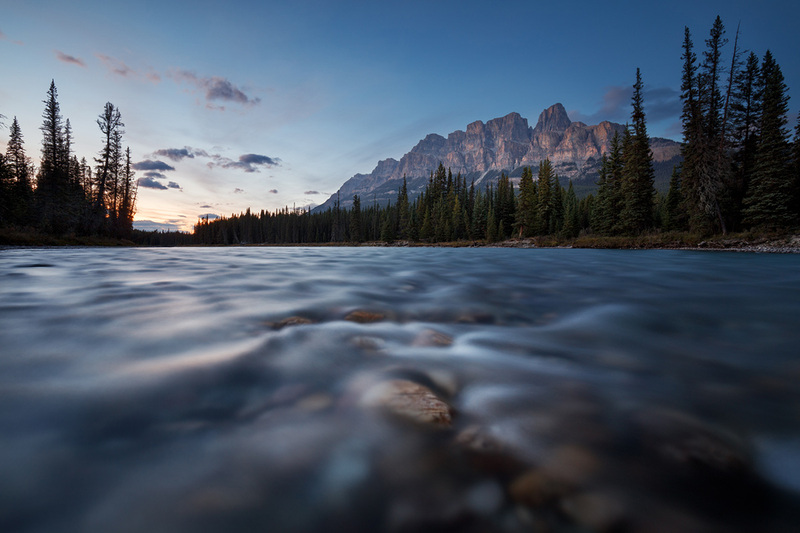 Sitting silently with the Bow River in the foreground, Castle Mountain will be our sunset treat. This castle-like mountain dominates the views and is one of the most imposing peaks of the Bow Valley. Getting up early, we’ll be headed to the famous Moraine Lake. Being one of the most iconic lakes in the Canadian Rockies, its beauty is simply out of this world and is a must-see on our list. Here, we’ll be shooting different compositions from the rock pile above the lake or the lake shore. Pure and turquoise waters, this one’s a real candy. Leaving Moraine Lake behind, we cannot miss the crystal clear Consolation Lakes surrounded by magnificent glacier panoramas. This will be our photographer’s yummy. Our evening agenda will take us to the pristine Bow Lake, one of the smaller lakes in Banff National Park. Boasting spectacularly colored water and a ring of peaks towering above, this site a top-notch mountain scenery. 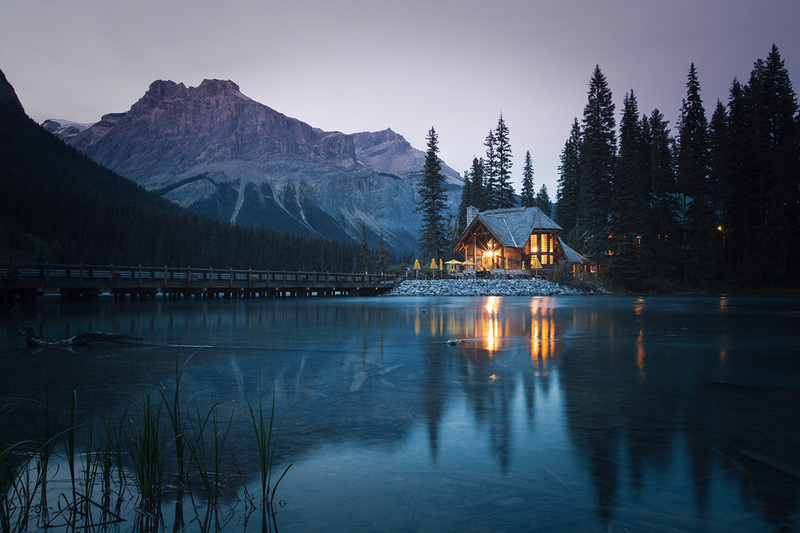 Another early morning will see us chasing sunrise at the Emerald Lake with the iconic lodge perched on its edge. This site is a great proof that Rocky Mountain Lakes are all different in color - from green to bright blue or even brownish. Vivid turquoise is the color of Emerald Lake, just you wait. Our next stop, Takakkaw Falls, the second highest waterfalls in Canada resounding with a tremendous thunder, will leave your jaw drop. We’ll also go to capture the Natural Bridge with the Kicking Horse River sculpting its way through it. 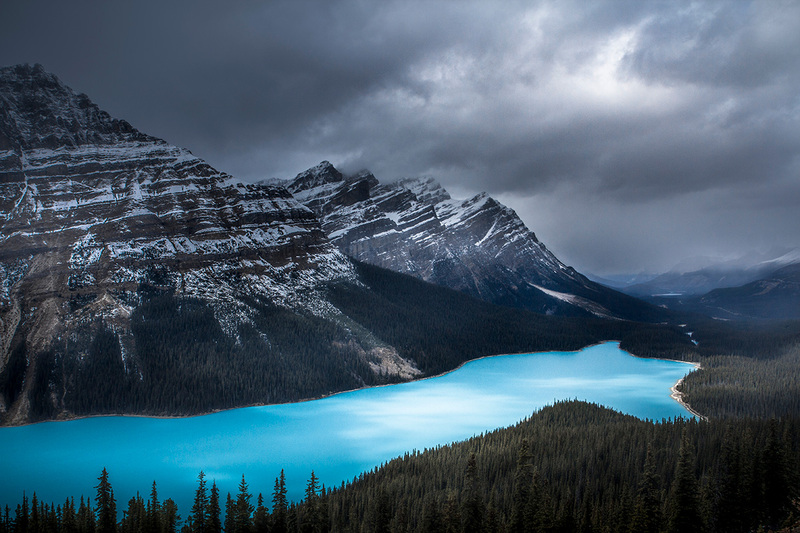 Sunset will be about the unbelievably blue Peyto Lake. Getting its blue from large amounts of glacial rock flour, it changes color depending on the time of year and day. Another sunset spent photo shooting is another sunset well spent! Another day, another great opportunity to salute the sun. This time, we will drive out to the stunning Waterfowl Lakes to enjoy the epic panoramas located right by the scenic Icefields Parkway Road. During the day, we’ll make a stop at the Morant’s Curve viewpoint to photograph the railroad tracks running below - long trains and magnificent mountain scenery will be a great mixture of nature meeting with the human element. We might also decide for a hike to Larch Valley above the Moraine Lake, offering fantastic views of several lakes and the Valley of the Ten Peaks, with ten notable peaks crowning the valley. 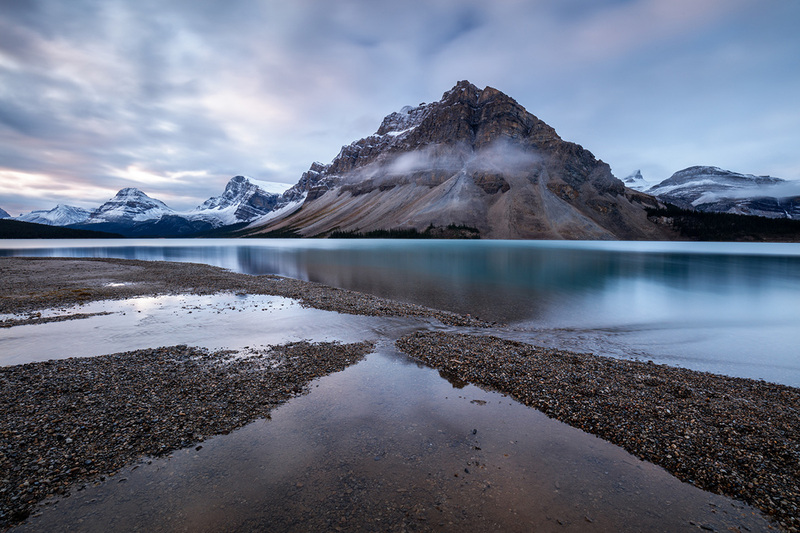 Returning to the crime scene, we will spend the morning back at Bow Lake, capturing its calm and cold waters dotted with colorful pebbles. 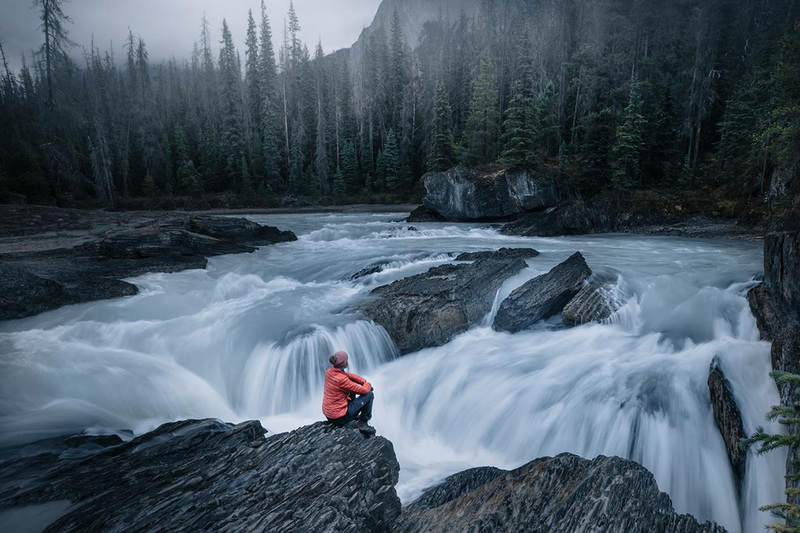 The greater part of the day will be revolving around the mysteriously deep Mistaya Canyon and the duo of Sunwapta Falls, both locations along the way of the iconic Icefields Parkway which we will take on our way to Jasper where we will check in. For our sunset photoshoot, we will go to Athabasca River at Goat Lick. With blue waters and mountain peaks in the back, this is where the river flows through gorges, offering wildlife viewing opportunities on its shores. Sunrise will catch us at Pyramid Lake at the foot of Pyramid Mountain. If there’s time, we might make it to Patricia Lake on top of it the very same morning. This is the day of the promised cruise to the sacred Spirit Island nestled on the iconic Maligne Lake. Gliding past the jagged mountain peaks, we’ll find ourselves on the track of one of Canada’s most popular attractions. On this night, we will be enjoying the warm evening light around Medicine Lake, a fascinating body of water that actually is not a lake. 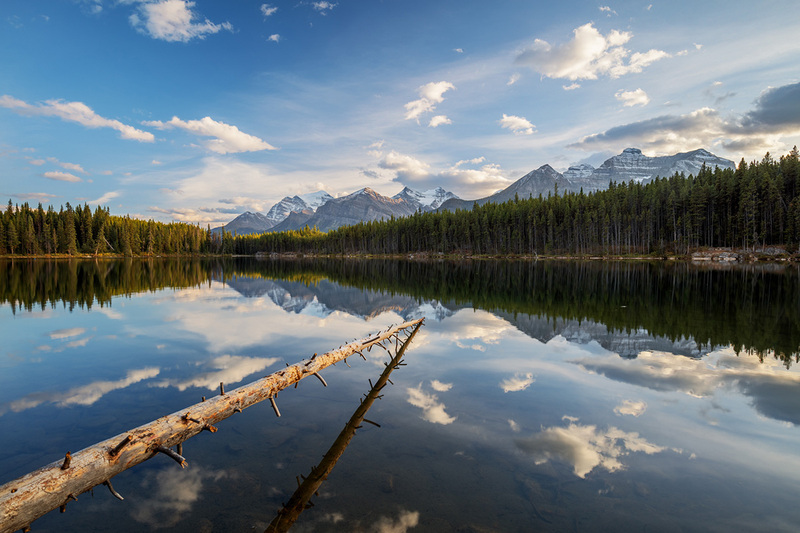 The peaks and trees reflecting in its waters are definitely worth your photographer’s while. On our last day before departure, we’ll be catching the first morning rays orchestrating a play of light on icebergs set in a valley with a lake, surrounded by mountain peaks and smashing meadows. Pure delight. After that, we have another unforgettable experience ahead of us - the Icefields Parkway, one of Canada’s national treasures. 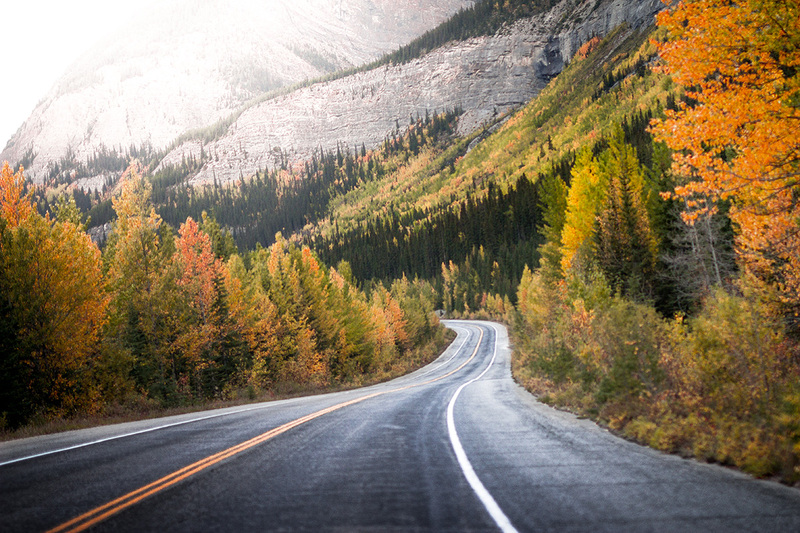 Riding along this iconic route, numerous stops can be expected along the way, as we want to make the best of our Rockies tour. You will find the force of the powerful Athabasca Falls astonishing. Just like the Horseshoe Lake, one of the deepest lakes in Jasper, surrounded by tall cliffs. And these are only some of the treats that await us on the drive back to Calgary, where we’ll be checking in to spend our last night. Oh, one more thing, a little party is in order, of course! Canon ambassador and adventuress searching for beautiful places through the world of her lens. Award-winning landscape photographer in constant pursuit of light and fog. 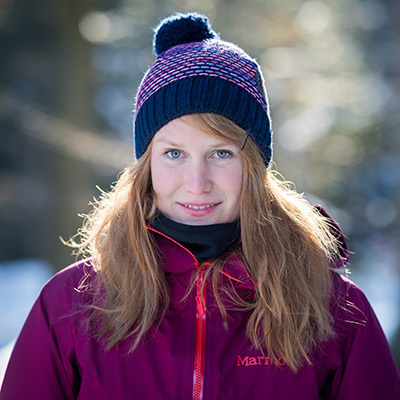 who will guide you through the area, show you the best photo locations of Canadian Rockies and lead you throughout the whole workflow of landscape photography (choosing the right gear, scene selection, composition, post production). The all-suite Lakeview Signature Inn features an indoor saltwater pool, hot tub, exercise room, outdoor barbecue and Pickle Ball Court. 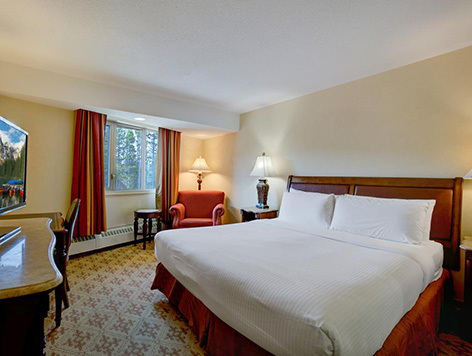 The hotel is conveniently located 11 km from Calgary International Airport. The Banff Inn offers modern hotel accommodations located on Banff Avenue, only minutes away from the downtown shops, restaurants, bars and many of Banff’s attractions. 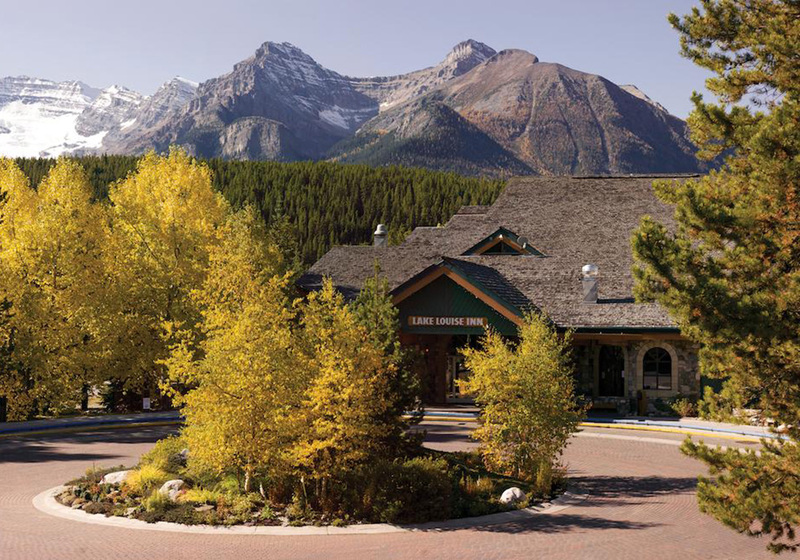 And finally, we’ll move way to the north to Sawridge Inn & Conference Centre Jasper, with Athabasca Falls only a 27 minutes’ drive away. Featuring big rooms, an indoor pool and on-site spa services, this hotel offers 3 restaurants, and the Jasper city center is pretty much round the corner, just a 3 minutes’ drive away. Will there be any night photography included?